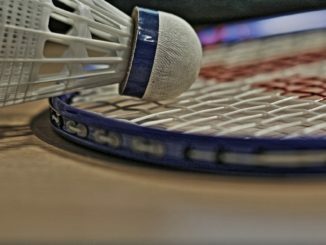 Choosing the best string tension of a badminton racket is a science in itself. 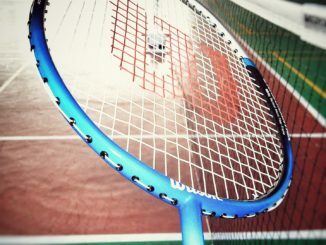 The right badminton racket string and tension depends on your level of play, style and technique. 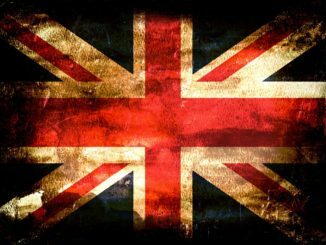 As a general rule you can state that low string tensions are the better choice for beginners while high string tensions are suitable for advanced players with good technique. The reason for this is that the higher the string tension is, the more the sweet spot decreases. And a smaller sweet spot leads to more miss hits from beginners, because they have not yet developed the needed technique. More danger of breaking strings / Higher string tension leads to more danger of the string breaking early. 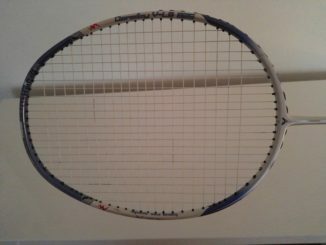 Tension creep: strings will loose tension over time and racket needs to be restrung. At high tension breaking of strings is more likely, if you don`t hit the sweetspot due to the pressure on strings. Duration of thicker strings is higher, less prone to breaking than thinner strings. Every racket model has an individual maximum string tension – manufactures provide a tension range. 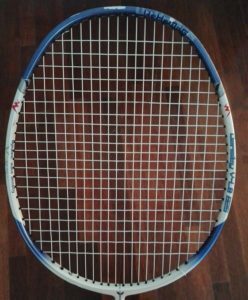 The most famous among Badminton string types is probably the Yonex BG65. So, what you might have learned from this badminton string tension guide: The right string tension is extremely important!!! Thank you,the information was very informative.